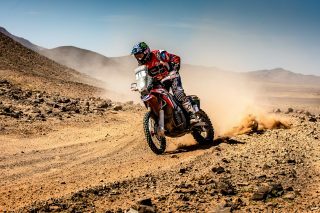 A fifth place in the fourth stage of the Morocco Rally places Ricky Brabec just a step away from finishing on the rally’s final podium. 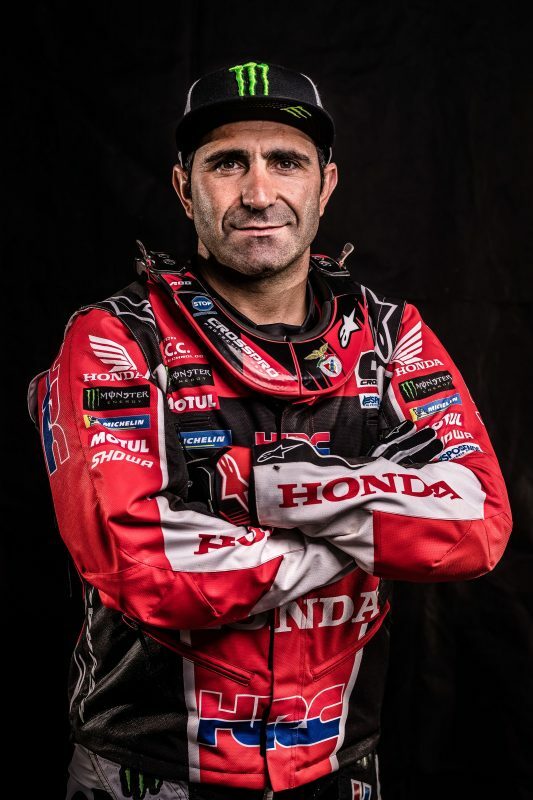 Paulo Gonçalves and José Ignacio Cornejo improve their positions in the general standings. Today’s 294-kilometre special timed continued the tough tradition of this gruelling Morocco Rally, where the navigation is highly demanding and the course physically exhausting. 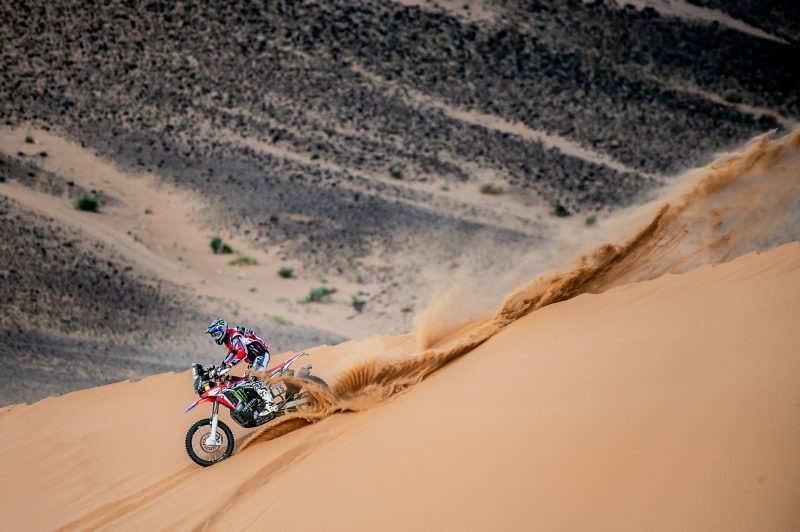 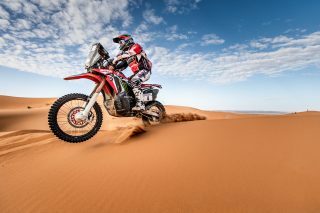 The route took in sections of dunes plus broken and stony track before the competitors made it home to the bivouac in Erfoud. 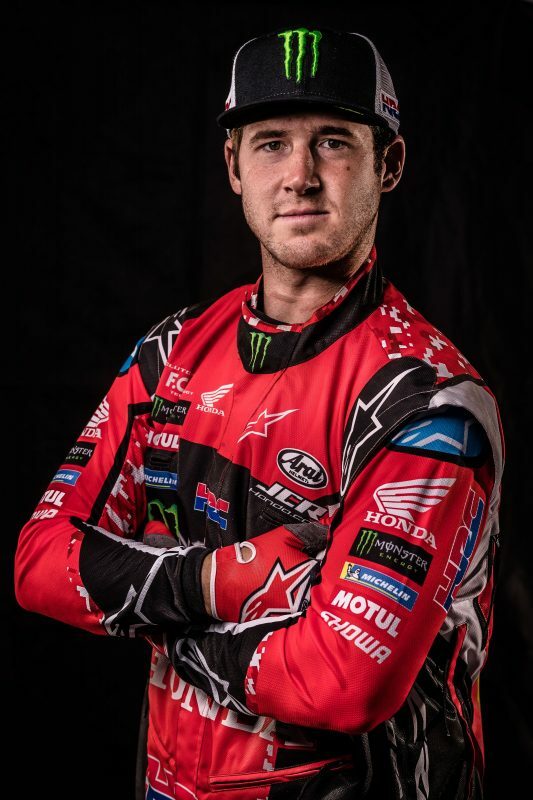 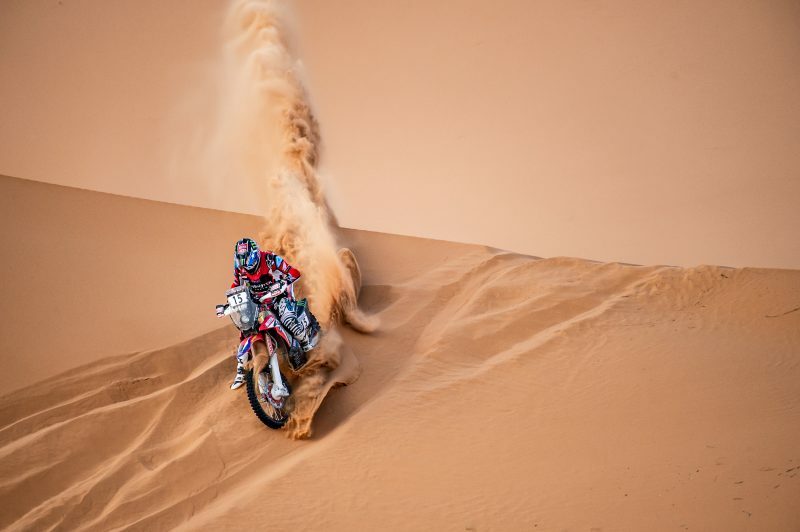 Ricky Brabec was able to continue his excellent form in this race without surrendering much time to adversaries in spite of starting out from third position this morning from the Merzouga bivouac. 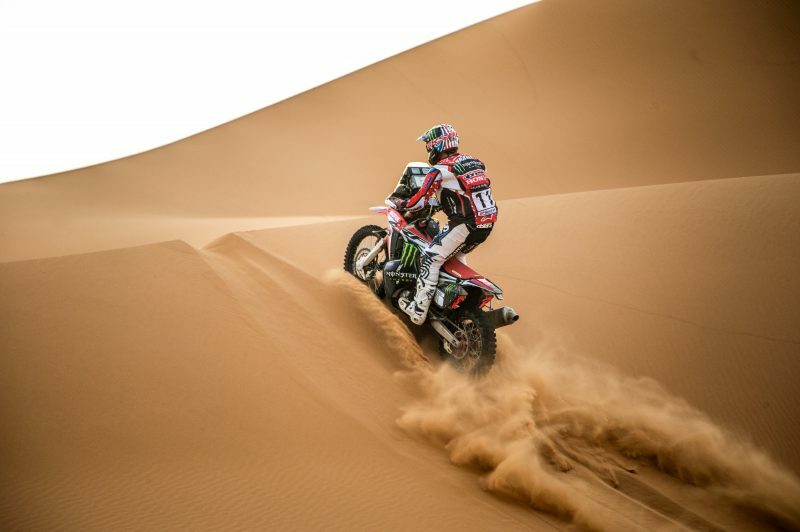 Monster Energy Honda Team’s American component posted fifth and maintains third spot in the overall rankings with just one day to go. 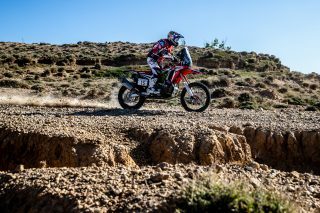 Today’s mission for Paulo Gonçalves today was to complete the stage without complications after yesterday’s fall. 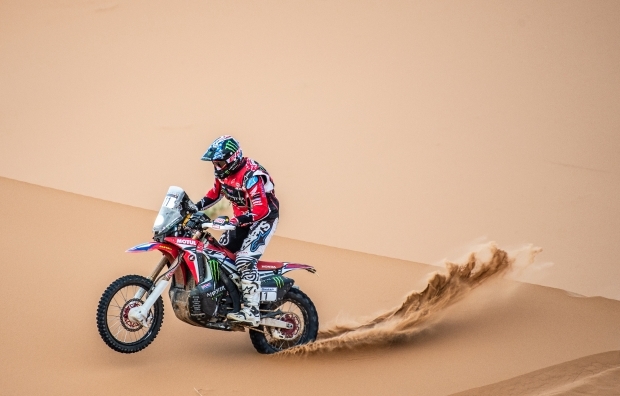 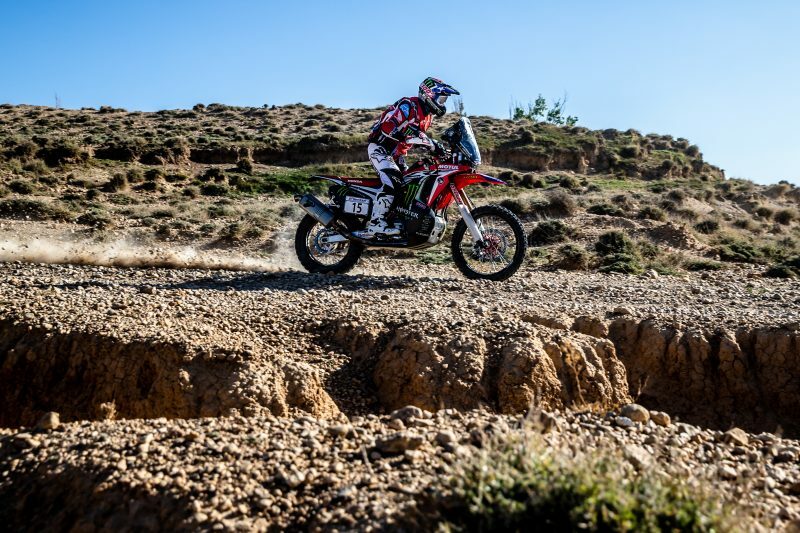 The Portuguese rider rode a cautious ride to finish in seventh place and is fifth overall in the rally. 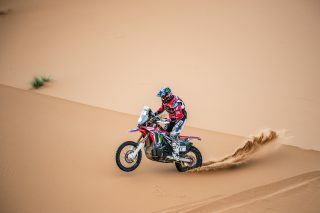 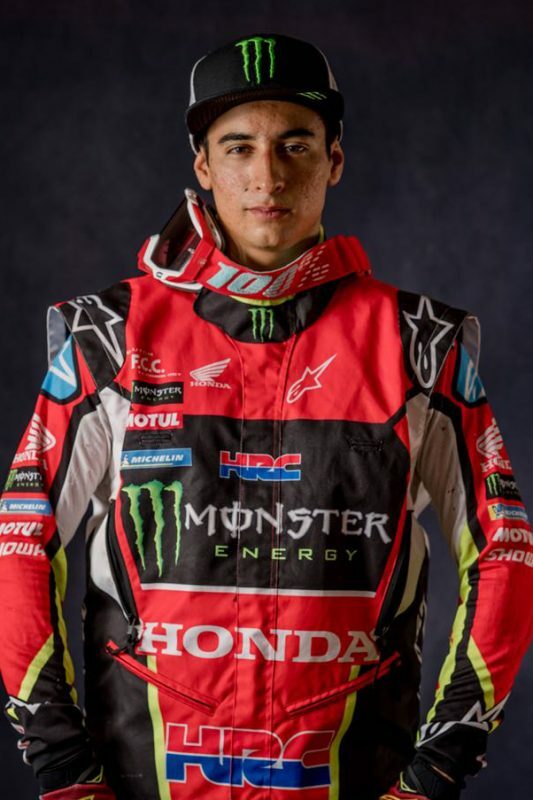 Elsewhere Chilean José Ignacio Cornejo was able to finish the day without major setbacks, to post a top ten place, ninth on the day and climbs to eighth place on the leader board. 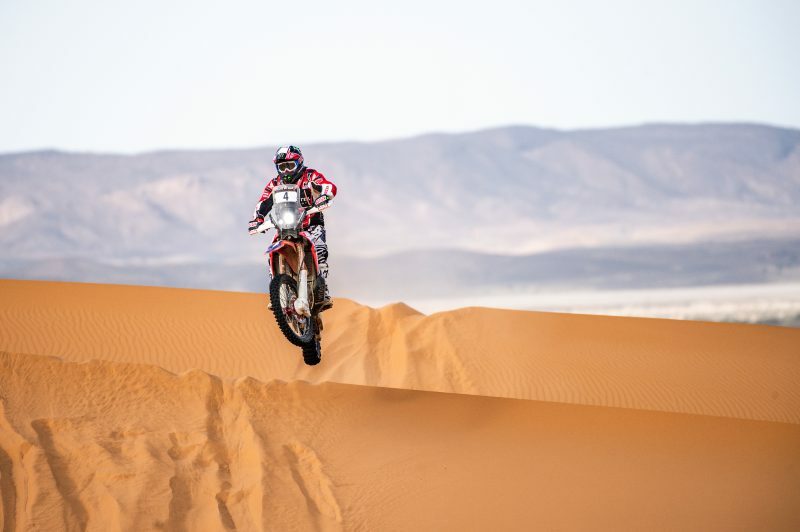 Tomorrow, Tuesday, sees the fifth and final stage of this Morocco Rally. 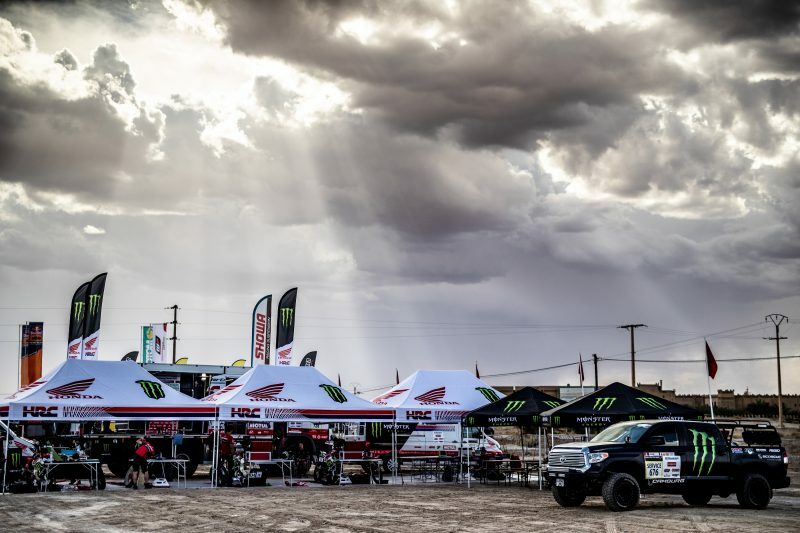 The day will be divided into two timed sections, one of 128 kilometres and another of 70 kilometres to be played out in the mountain tracks of the Moroccan Atlas. After a total link of 259 kilometres, riders will find themselves back in Fez, the starting point of this edition. We have finished the fourth day and the second part of the marathon. 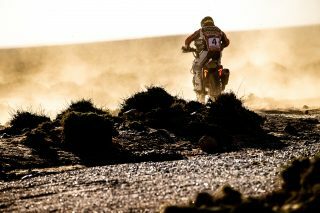 They have been really tough days with a lot of dangers. I tried to keep the errors down as much as possible after the ones that I made yesterday. 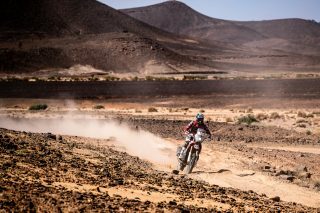 I went a lot more calmly today concentrating on the navigation. 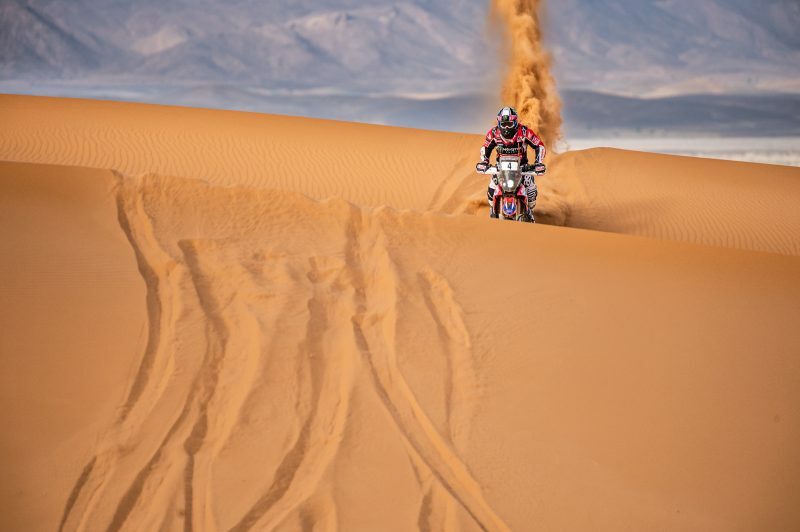 The objective has been to put in the kilometres before the Dakar, like a training session. 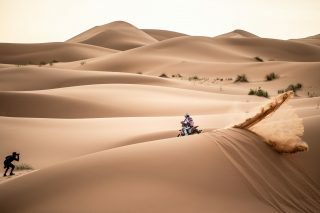 We are trying to get back in one piece. 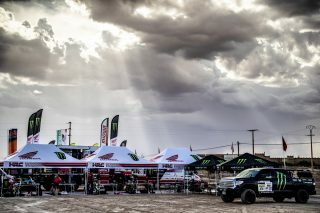 We are preparing everything for the final day tomorrow.